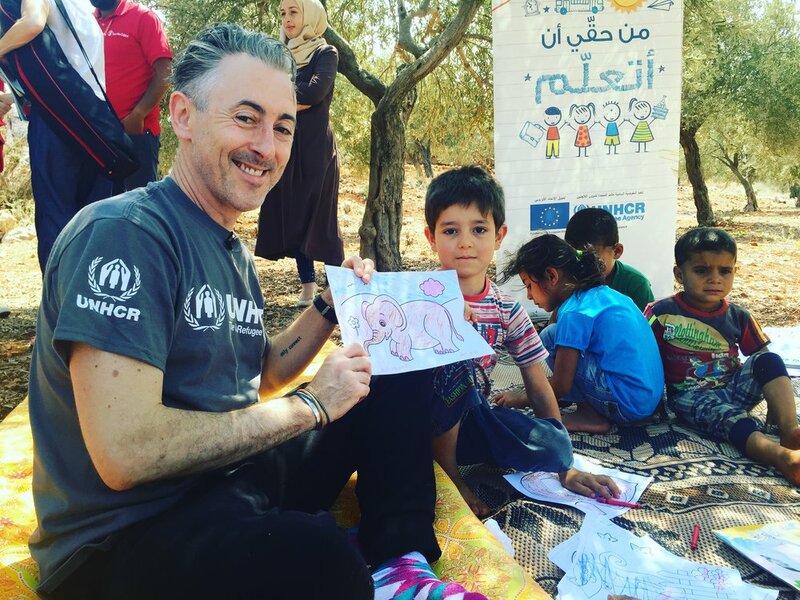 Over Labor Day weekend I flew to Beirut for a mission with the UNHCR, the UN refugee agency. I toured Lebanon meeting people who have been displaced because of the conflicts in Syria and Iraq. It was an eye-opening experience for many reasons, but mostly because I realised how much the language of fear and xenophobia was being used all round the world, and at its root are millions of people who just want to go home and are afraid of the same things we are. These people were so resilient, as were the people of Lebanon who are dealing with almost a third of their population being made up of refugees. I came back to the USA and started my book tour and was able to talk a lot about what I had seen and my belief that America needs to do more, as a responsible and compassionate world power, to help these people, instead of shunning, shaming and falsely labelling them.